Do You Need An App To Manage Your Kid’s Smartphone? Have you tried the Teen Safe App? The app can manage your children’s smartphone usage and safeguard them from harm. The app can block apps and read texts. Check out Teensafe.com for more information! In a recent study by NQ, your smartphone could be at risk from a malware infection. According to the study, 58% of young smartphone users from the ages of 13 to 17 have been attacked from 2011 to 2012. The study highlights the top four ways your phone can be attacked: VDloader, DDSpy, Fireleaker or DyPusher. VDloader is a malware that is run as a client on an Android device and then requested interaction with a remote server. Generally you get infected via a text message, so be on the look for suspicious texts. could collect device specific information. You can get this via clicking on a link by browsing or in a text message. DDSpy is disguised itself as Gmail and ran silently in the background. It showed no icon and hid itself in the app list, communicating with its command and control server via SMS. This was discovered as a client-side Trojan malware. DyPusher is capable of uploading device specific information as well as dynamically downloading files and apps without the user’s consent, thereby causing loss of privacy and potential bill shock. Install security apps on your phone to detect malware – Android and iPhone. Looking for the hottest apps on the web? Whether you have an iPhone, Android or Windows smartphone, then you need to check out this website. First you choose, you platform and then get hit with reviews and tips on the best applications to load up your phone. What else could you ask for if you can’t live without your Smartphone? So you are flicking through the channels and you land on a show that you just can't place? With music you can use Shazam to tell you what song is playing, now there is IntoNow that will do the same thing for TV. I have been waiting for an app like this since the iPhone was released because I am a heavy channel surfer. Did you get a new smart phone and need some apps? You need to try App Shopper. I personally like reading the App Shopper blog and keeping track of the free apps. I saw that Lebron James was using Echofon for Twitter so I checked it out (even though I am still not becoming a Miami Heat fan). Echofon is “a clean iPhone Twitter app with push notifications and unread tweet syncing with your computer”, the site exclaims. I tried it out what I like best is that the software actually does sync-up between your iPhone, iPad and Firefox browser. When you stop reading on one device, it will pick up where you let off on another. 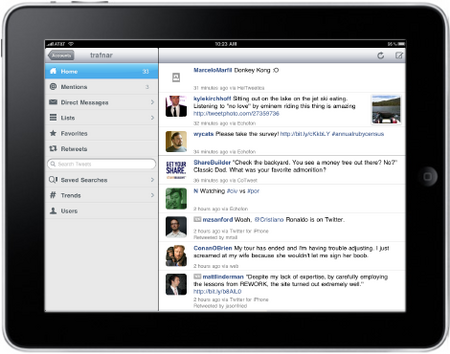 With the iPad version of this app, you get a larger display to clearly sort through your tweets. If you are looking to get into Twitter, Echofon pushes the envelop with strong features, yet makes it easy to get into the game. You are driving home and you want to let the other party know you are on your way. 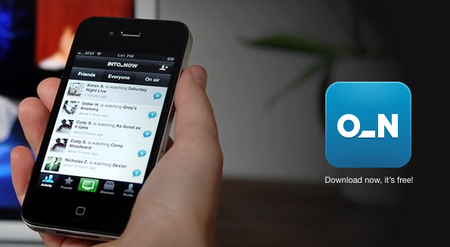 Now there is no need to pick up the phone because the OnMyWay app from TeleNav has arrived. The following article sums it up best, “OnMyWay has a simple goal; it tells another person or group of people that you are currently on your way and sends them the estimated time of your arrival. The app sends new alerts to your contacts if your ETA changes (if you're stuck in traffic, for instance), so that you can safely continue driving and not have to call or text someone else if you're running late. I tried this app out yesterday and OnMyWay worked well. You should get it while it's still free. Thanks to Mike Kimmel for the awesome find!